Here is your chance to win the phone and data plan I have been tweeting, tumbling, and facebooking about for the last, er, 20 days! Sadly, my time with them is almost up and I have been enjoying the heck out of this phone and its unlimited data and calls. 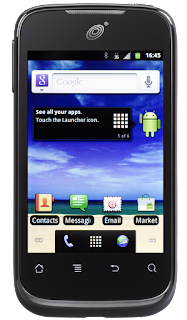 While I still have not decided to stick with Net10 or go back to my old plan, here is your chance to win what is in my bag - a Net10® Android Huawei Ascend II, powered by Android™, 3.5" touch screen, 600 MHz processor, 5 MP camera/video recorder and a 30 day plan for unlimited talk, text, and data! This is the perfect phone and plan for someone like me who hates contracts but it is also perfect for kids, teens, and well, anyone who wants a smartphone with out that huge bill. As an added bonus, by getting your phone and top off cards from Giant Eagle not only do you get get the convince of one stop shopping but the top off cards are eligible for fuel perks. Your wireless use can earn you a free tank of gas! Of course, if you live somewhere that Giant Eagle does not exist, never fear - you can still enter the giveaway! 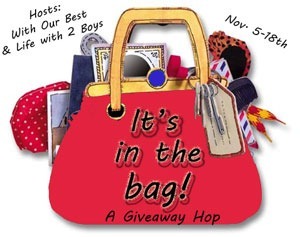 Once you have entered the rafflecopter giveaway to win what is in my bag, be sure to hop to the other blogs and their great giveaways. Each of the participating blogs has an awesome prize worth at least $25. Good luck! Fine Print: I received a similar phone and service in exchange for the review and giveaway. This does influence my review and my opinions are 1005 my own and genuine.